Posted on February 1, 2016 by Margaret Murray. This entry was posted in Engaging Interests. Bookmark the permalink. 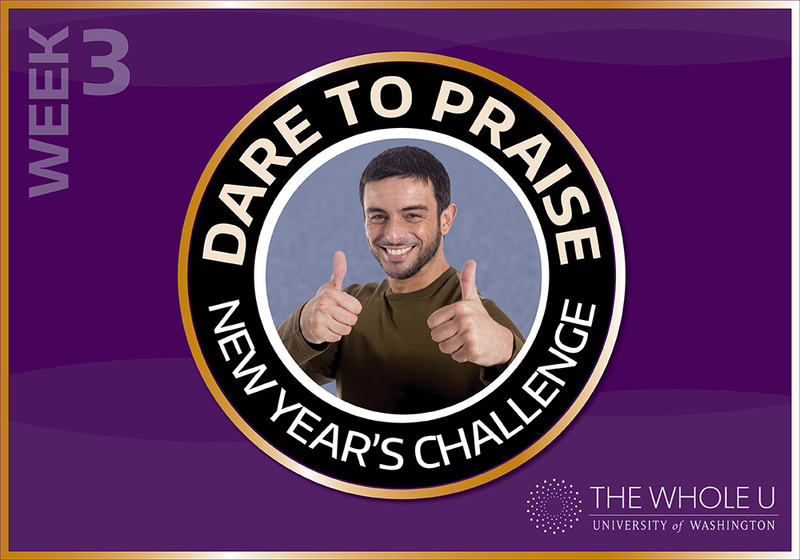 The first two weeks of the Dare to Do Challenge were about movement and food — the most common New Year’s Resolutions. 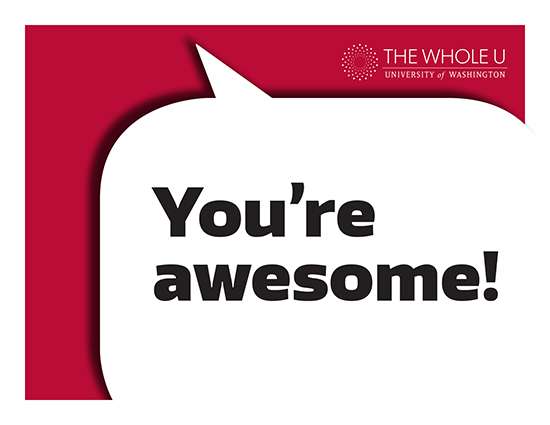 For week 3, we’re daring you to up your compliment game. What does that have to do with a new you? More than you’d expect. 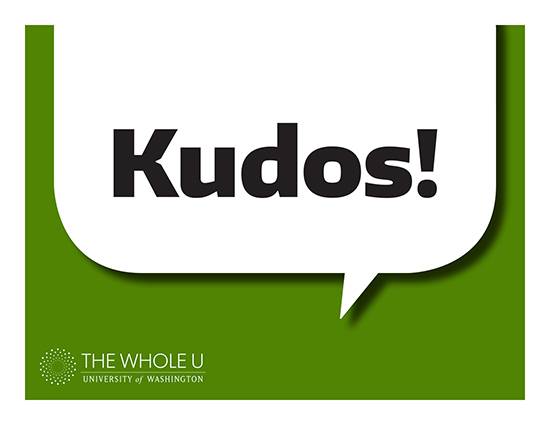 In their article in The Journal of Positive Psychology, Algoe and Haidt studied how praising others in a variety of different ways, such as letter writing or recalling a positive event, affected participants. Overall, they found that those who “were motivated to be kind or warm toward others”, those who expressed gratitude “wanted to reach out to or connect with their benefactors or to ‘give back,’” and those who experienced admiration “were energized and wanted to work harder to reach their own goals.” In other words, praising others isn’t just a nice thing to do — it also motivates you! Taking the time to elevate others, express gratitude, and admire others inspires us to be the best versions of ourselves. Researchers have also discovered that receiving praise releases dopamine, the same chemical that is released when we fall in love, eat a cupcake, or meditate. Dopamine is nature’s reward, a way of encouraging the same behavior in the future. The jolt of feel-good chemicals wears off quickly so that you’ll seek it out again. That’s why a compliment feels wonderful, but it doesn’t last long. For that reason, it’s important to praise the people in your life often. As someone quoted in a Gallup study noted, “When people don’t get enough recognition, they ask themselves, ‘What am I doing this for? Nobody cares.’” Getting into the habit of regularly noticing and commenting on what others are doing well gives them a powerful positive reinforcement. 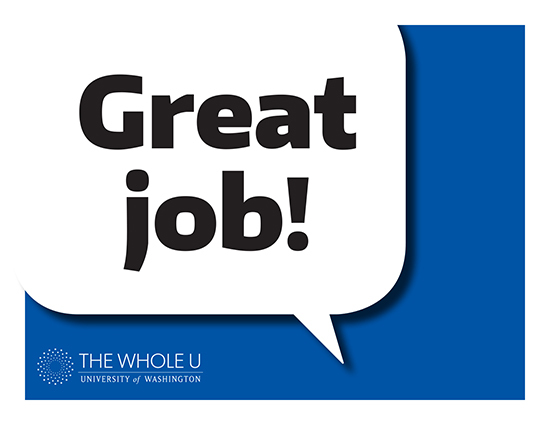 Our UW colleagues provide a rich candidate pool of people to praise. After all, we spend 8-10 hours a day together and often know each other’s professional and personal milestones. Do you know someone who just got published, went out of their way for a patient, or impacted a student? Brighten their day and motivate yourself by praising them! 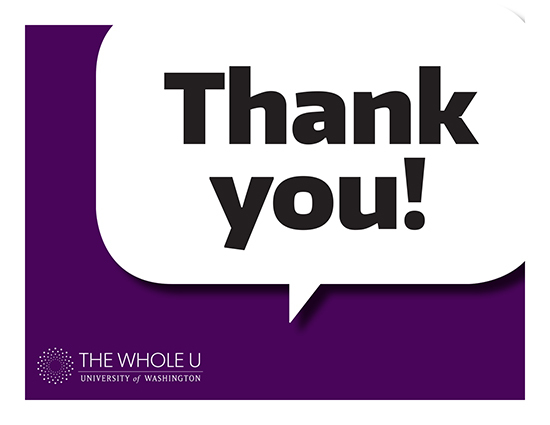 Simply drop one into an email and type a short note expressing your gratitude or appreciation. In less than one minute you can change the course of a day. You can also save this PDF if you’d like a printer-friendly version. Offering praise is easy, free, and powerful. Give it a try….we dare you! There are so many inspiring stories & challenges!